FOMC manages to engineer a dovish meeting outcome -- The markets were expecting a dovish meeting outcome on Wednesday, but the FOMC went even farther than the markets were expecting. 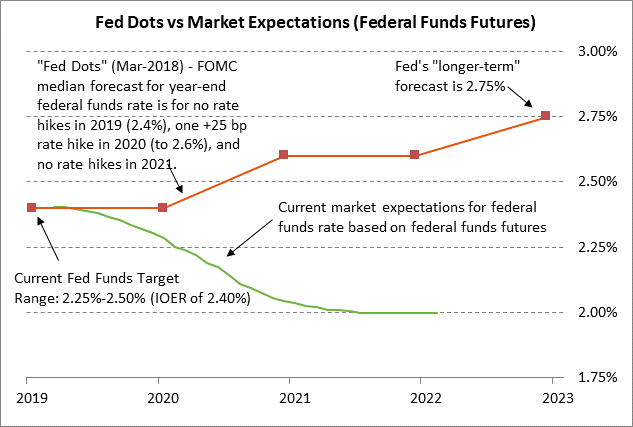 First, FOMC members cut their Fed-dot median forecast to zero rate hikes in 2019 from two hikes, although they did leave in place one rate hike for 2020. 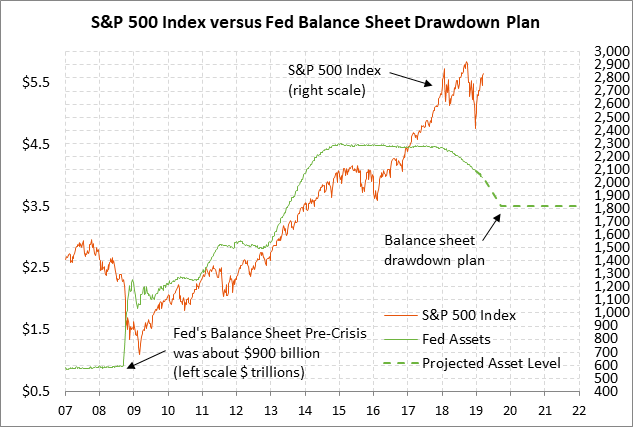 Second, the FOMC announced that it would start tapering its balance sheet drawdown program in May and complete the drawdown by September, which was earlier than expectations of Q4. 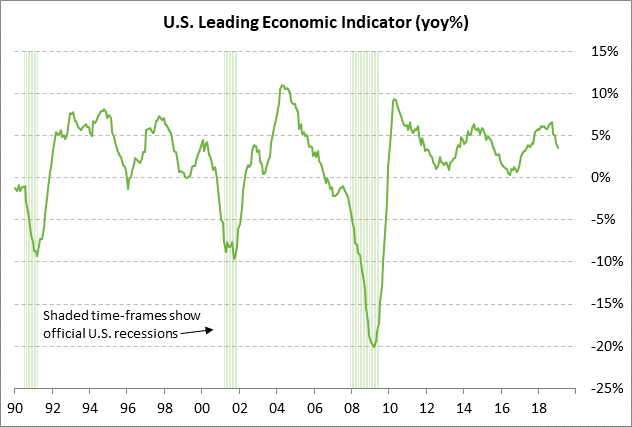 In addition, the Fed gave a somewhat downbeat outlook to justify a long rate-hike pause. Mr. Powell said that, "Patient means that we see no need to rush to judgment. It may be some time before the outlook for jobs and inflation calls clearly for a change in policy." The Fed expressed worry about the recent softer U.S. economic data, slower economic growth in China and the Eurozone, Brexit risks, and persistently low global inflation. On inflation, Mr. Powell said, "I don't feel we have convincingly achieved our mandate in a symmetrical way" of achieving 2% inflation. He added, "We're almost 10 years deep in this expansion and inflation is not clearly meeting our target. That's one of the reasons we're being patient." Regarding the balance sheet, the Fed said it will taper the reduction of its Treasury security portfolio with a new cap of $15 billion starting in May versus its current cap of $30 billion. The Fed said that it plans to fully conclude its balance sheet reduction program at the end of September, with the balance sheet level then flat-lining. The FOMC left in place the current drawdown cap of $20 billion for mortgage-backed securities (MBS), but said that starting in October principal payments from maturing MBS securities will be reinvested in Treasury securities up to a maximum amount of $20 billion. The MBS program is designed to fulfill the Fed's goal of eventually phasing MBS securities out of its portfolio and holding only Treasury securities. Mr. Powell said that he sees a balance sheet a bit above $3.5 trillion by year-end, down from the current $3.97 trillion. 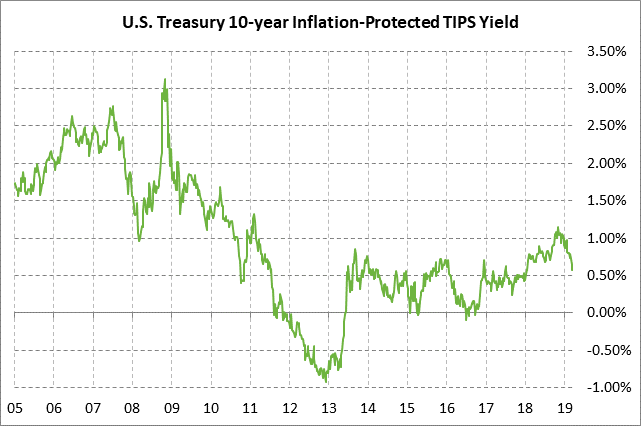 The 10-year T-note market reacted bullishly to the FOMC meeting outcome with the 10-year T-note yield falling by -8.6 bp to a 14-month low of 2.53%. T-note prices were buoyed by the cut in the Fed dots, the earlier-than-expected end of the balance sheet drawdown program, the Fed's downgrade of its 2019 GDP forecast to +2.1% from +2.3%, and Mr. Powell's focus on low inflation. 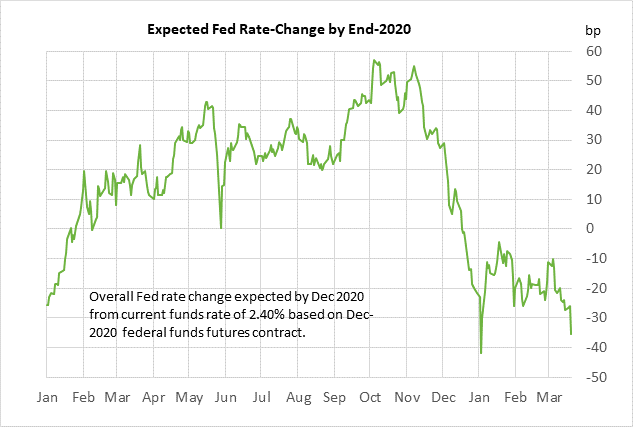 The Dec 2020 fed funds futures contract fell sharply by 9.5 bp to 2.045%. President Trump says he plans to keep tariffs in place even after a trade agreement -- President Trump on Wednesday said that his tariffs on Chinese goods will stay in place for a "substantial period of time" even if there is a trade agreement as a means to enforce the agreement. The Trump administration apparently plans to remove the tariffs only after China hits certain milestones specified in whatever trade agreement might eventually emerge. Mr. Trump did not specify whether he was referring to both tranches of tariffs, i.e., the first 25% tariff on $50 billion of Chinese goods or the second 10% tariff on $200 billion of goods. It is possible that the Trump administration might remove the 10% tariff on $200 billion of goods upon closing the trade deal, leaving the 25% tariff on $25 billion in place until milestones are hit. If the U.S. keeps all its penalty tariffs on Chinese goods, then China will look weak for giving up major concessions in return for a U.S. concession of only dropping the threat of even higher tariffs. In addition, if the U.S. does not remove tariffs, then there would be little incentive for China to remove its retaliatory tariffs. In any case, the trade talks still seem to be progressing since USTR Lighthizer and Treasury Secretary Mnuchin will travel to China next week for trade talks. Chinese Vice Premier Liu will then visit the U.S. the following week. The WSJ on Tuesday said the U.S. and China are trying to wrap up their talks by late April. PM May's latest plan is for a third Brexit vote next week and a Brexit deadline extension to June 30 -- UK Prime Minister May will attend the 2-day EU Summit that begins today and request an extension in the Brexit deadline to June 30 from the current March 29. The EU's initial response to that news was that an extension to June 30 would only be possible if the UK Parliament approves the Brexit separation agreement by next week's March 29 deadline. The EU will likely be forced to hold an emergency summit next Thursday or Friday to make a final decision on a Brexit extension. If the UK Parliament does not approve the Brexit separation agreement at an expected vote next Tuesday or Wednesday, there is no guarantee that the EU will allow a short-term Brexit extension to June 30. The EU is worried that if the UK has a deadline that comes after the May 23 EU elections, then the UK might not hold elections for the EU Parliament and yet remain in the EU when the Parliament is seated, thus calling into question the legality of the EU Parliament. If the UK Parliament cannot approve a Brexit bill next week, then the EU might only give the UK the choice of a very short deadline extension of before May 23 (i.e., the EU election date) or a long extension of 9 months or more. The bottom line is that PM May is trying to back everyone into a corner in an attempt to get her Brexit agreement approved by Parliament. 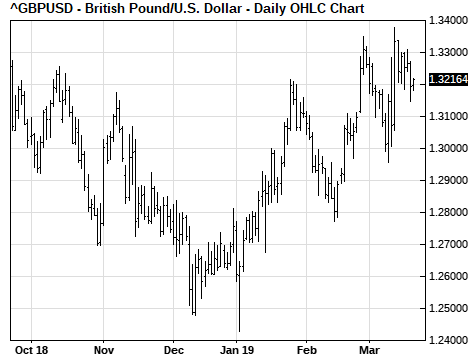 Her brinkmanship has been disconcerting for the markets, but the odds are still low for a no-deal Brexit by April 1 at 25%, according to oddschecker.com. U.S. economic calendar -- Today's U.S. economic calendar is busy with weekly unemployment claims, the March Philadelphia Fed index (expected +8.9 to 4.8), Feb leading indicators (expected +0.1%) and the Treasury's auction of $11 billion of 10-year TIPS (yield 0.57% late Wed).